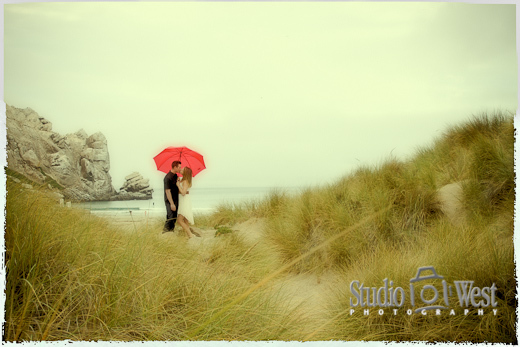 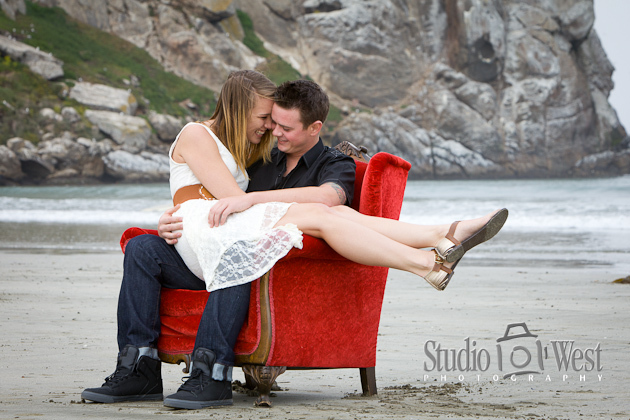 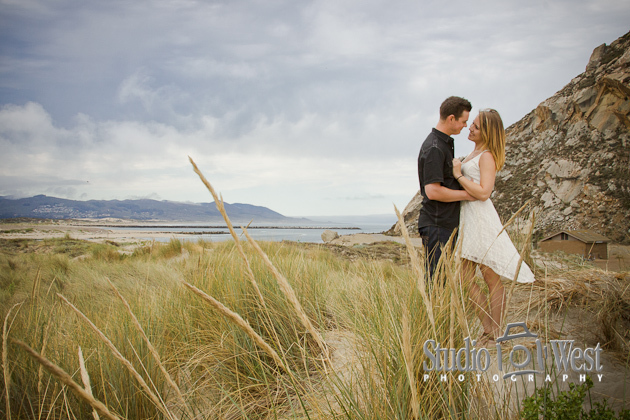 Bri and Nick came up from Westlake for an awesome engagement portrait session at Moro Bay. 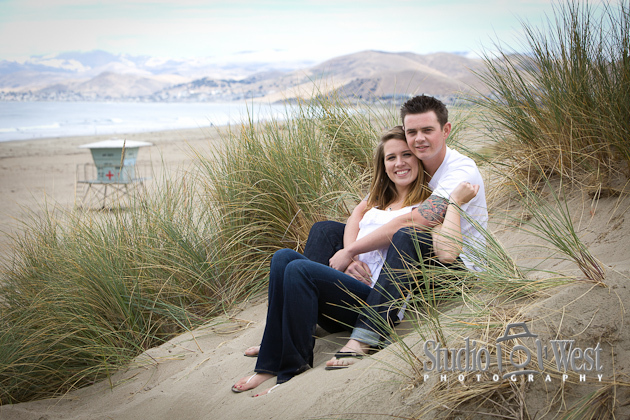 They were so excited about their photography that they book me to shoot their wedding over a year in advance. We had a blast during the photo shoot on the beach and the dunes near Morro Rock and, at times were we were quite a distraction to the surfers and passerby's. 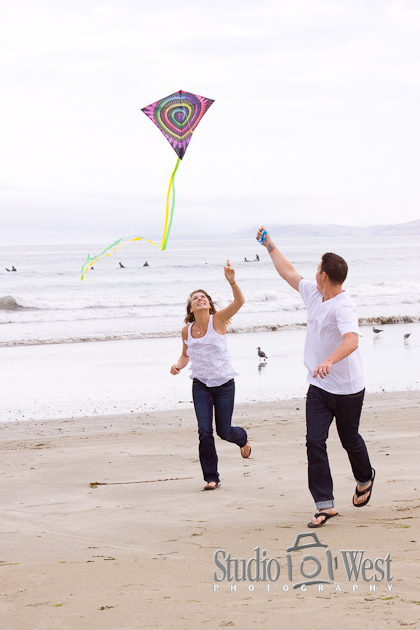 Nick & Bri had been to Morro Bay once before during a kite festival so we decided to have them fly a kite during the shoot. 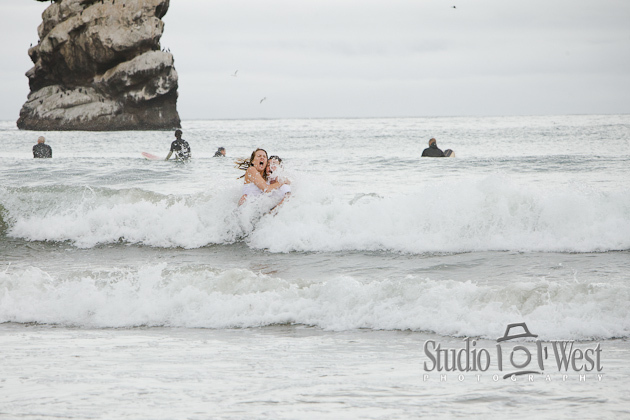 Nick definitely wanted photos in the water and waves so we went for it and got a-little wet. 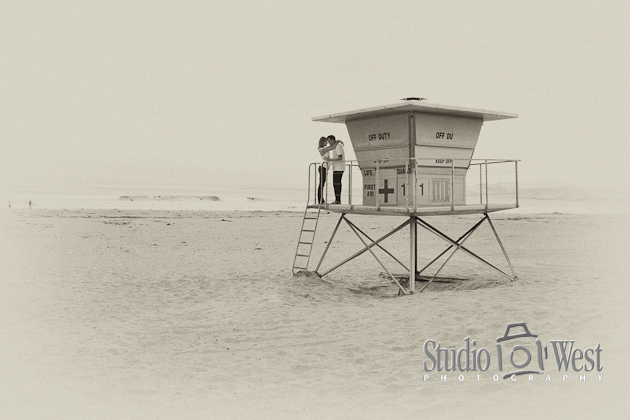 They were so great, you could hardly tell the water was only about 60F.